You are here: Home › Advice › 7 Strategies for Delegating better to get higher Productivity !!! Delegating Topics: Learn to Delegate, set Priority, Worker’s Strengths, Instructions, Teach, Trust, but Verify, Feedback. As a Founder, delegate as much as possible, so you can concentrate on Innovation & your Vision !!! #1. You can’t do it all, so Learn to “let go”. The biggest problem most Leaders face is the inability to let go of their own work. Sometimes they feel so dedicated to completing their own work that they refuse to let other people help. Other times, they fear that nobody else has the skills or abilities necessary to execute the work effectively (ie, perfectly). Whatever the case may be, your first priority needs to be to learn to let go. Start small, delegating only the smallest tasks, then gradually work your way up. Get to know your team better, their talents and improve the trust among you & your co-workers that they can do it. Take baby steps and know that eventually you will have to let go of more work if you want your Team to be the most successful. Cat. 1: Do “exactly” what I ask. I have already decided what I want the final outcome to look like. I already researched all the options and know what I want. Just follow my instructions. Cat. 2: Gather Information & Report. I want you to research the topic, then bring back a Summary report. We will discuss the information together. Then I will make a decision and tell you what I want you to do next. Cat. 3: Make a Recommendation. I would like you to research the topic and outline several options. Be prepared to give me the “pros & cons” of each option. Make a recommendation by telling me what you think we should do. If I agree with your recommendation, I will authorize you to move forward. Cat. 4: Make your own Decision & Report. I trust you to do the research and make the best decision you can. Just keep me informed of what you are doing. I don’t want to be surprised at the result. Cat. 5: Implement on your own. Make whatever decision you think is best and move forward on your own. I trust you completely to implement your best decision. There is no need to check in with me. You have my full support. NOTE: Even if you’re not sure yet who to delegate to, or even how, start by capturing the what. Then watch as your mind (and the angel on your work shoulder) magically start creating solutions for next steps from that new vantage point of space and self-awareness. Summary of Strategy: the highest-skilled category should contain tasks that you keep on your own plate, (while those in the lower-skilled categories can be assigned to others. The degree of effort should tell you, which tasks are more important to delegate–for example, giving someone else responsibility for a high-effort, low-skill task will save you lots of time. Establishing a firm priority system will help you understand the nature of your tasks & delegate more efficiently. #3. Play to your Workers’ strengths. As a leader, you’ll have to learn the skills of your Team. You should know each individual’s strengths & weaknesses, including his/her current, and potential, range of skills. 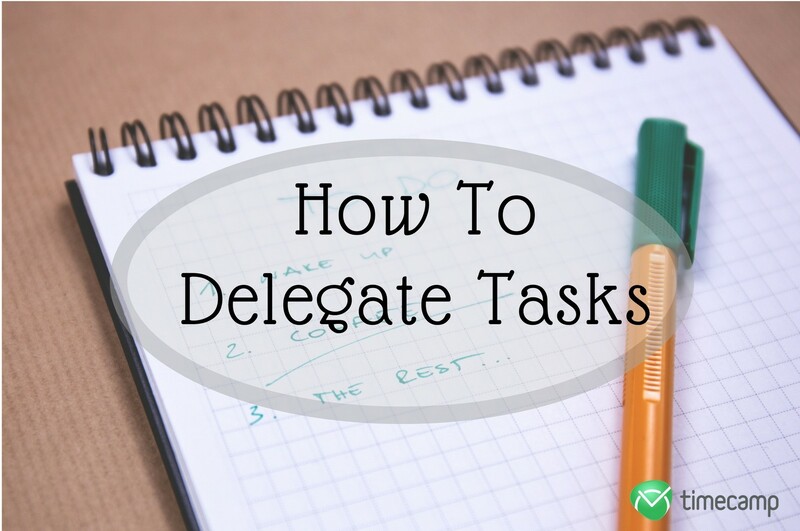 When delegating, take a look at your Team and assign tasks to whoever has the greatest number of relevant skills for that task. It seems like an obvious choice, but too many leaders delegate to whoever has the lightest workload or is the most convenient. It’s also important to be “consistent”. For example, delegating the same type of tasks to the same individual will eventually increase that individual’s aptitude for those tasks. #4. Always include Instructions. Even if the task process seems obvious to you, make sure to include instructions with each task you delegate. If you have specific preferences for how the assignment will be carried out, include that information. If you have a strict deadline or milestones you need to hit, convey them. Including details & simple instructions from the beginning will avoid most communication gaps and will allow your tasks to be executed effectively. It’s a pro-active strategy that both you and your Team will appreciate. #5. Teach new Skills. Lacking someone on your team with the ability to execute a certain task on your to-do list doesn’t mean the work can’t be delegated. Most skills can be learned–some more easily than others–so don’t be afraid to teach as a part of the delegation process. Though the assignment of your first few tasks will take more time than it will save you (since you’ll need to train your chosen Team member), consider it an investment. By transferring those skills, you’ll be opening the door to assigning all similar tasks to that individual in the future, ultimately saving more time than you spent teaching. #6. Trust, but Verify. Once a task is delegated, trust your Team member to execute it on his/her own terms. This will allow the person to tackle the work the way s/he feels is best. However, don’t be afraid to occasionally step in and verify that the task is moving along as planned. For example, if you made an assignment a week ago that’s due soon, trust that your employee is on top of things, but send a quick verification Email to make sure the person hasn’t hit any snags. Doing so encourages more trust & respect within your team + helps prevent breaks in communication or understanding. #7. Use Feedback to improve delegation moving forward. Feedback is the most important part of the delegation process, and it works both ways. If your workers have done well with a task you assigned, let them know by publicly thanking them and offering genuine praise. If they’ve fallen short, don’t be afraid to give them additional guidance or some constructive criticism. On the other hand, invite your workers to share their thoughts on how you’re delegating. It’s a critical chance for you to determine whether you’re providing enough information, or whether you’re assigning the right tasks to the right people. Conclusion: for some, Delegating isn’t easy, and the process isn’t always clear cut, but the sooner you start, the sooner you’ll develop the expertise to do it effectively. Realize that the process will never be perfect, but learn from your experiences and make ongoing adjustments for improvement. Comments: If you know any other Delegating ideas, please share with us. For more Info, click on Delegating, Productivity, Leadership.